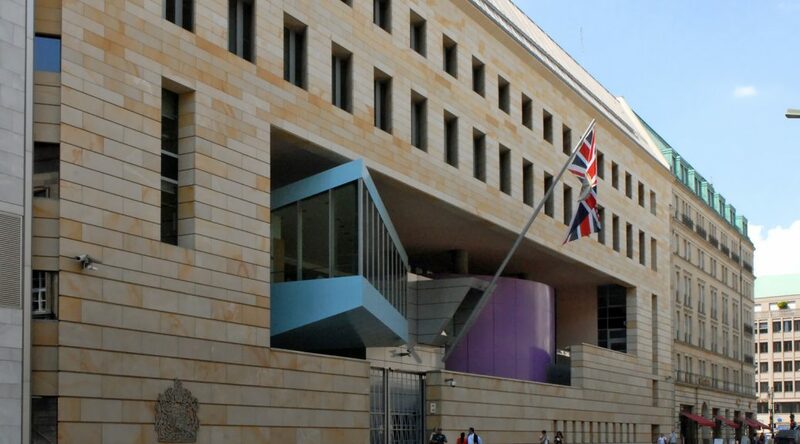 In cooperation with German partners and British in Germany e.V., the British Embassy Berlin will host an Open Afternoon and Evening on Tuesday 30th April 2019. This will be an opportunity for you to find out how the UK leaving the EU might affect your rights to live and work in Germany. Economic Counsellor Rachel King will give an update on issues relating to citizens’ rights and what this means for you after the UK leaves the EU. She will be joined by the Head of the Berlin Foreigners Authority (Ausländerbehörde) Engelhard Mazanke, who will explain the registration process in Berlin. Spaces are limited – please register on Eventbrite. Spaces are limited – please register on Eventbrite:. Please not that only registered guests can be permitted entry to the Embassy and photo ID is required. The British Embassy and Antje Lezius, Member of the German Bundestag, in collaboration with British in Germany, will host a German-British Information Evening on citizens rights in Bad Kreuznach on Monday, 15th April at 6:30pm. HM Consul General Rafe Courage will give an update on the impact of the UK leaving the EU on citizens’ rights of UK nationals living in Germany and what this means for you. 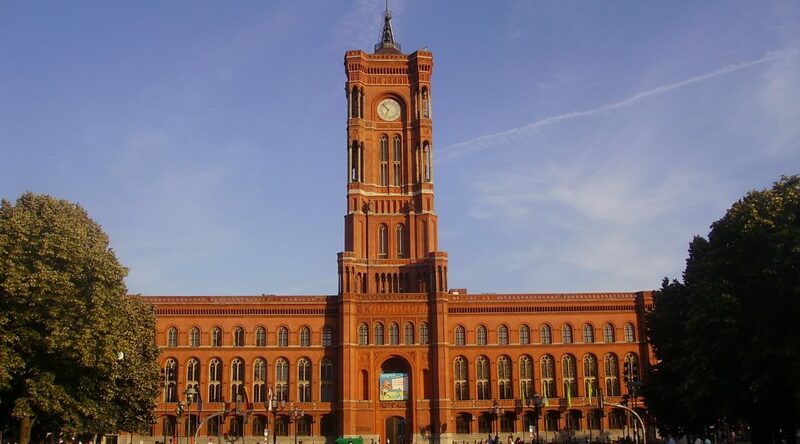 Antje Lezius will present the German government’s plans, as will the Foreigners’ Authority Bad Kreuznach. They will be joined by Amanda Diel from British in Germany e.V. Following the speeches, there will be plenty of time to ask any questions you have. 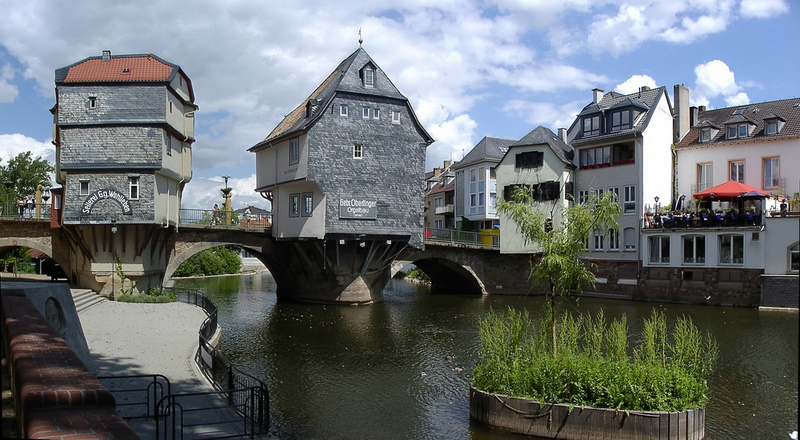 The event is primarily aimed at UK nationals living in and around Bad Kreuznach. Family members and friends are, of course, also welcome to attend, as are German citizens with questions regarding travel to or study in the UK following the UK’s exit from the European Union. Doors open at 6.00 pm. The event will run from 6.30pm to 8.30 pm. This event will take place in English and German. Should you be attending by car, there are parking spaces available at Brauwerk Bad Kreuznach (charges apply). We look forward to welcoming you then. The British Embassy Berlin would like to draw your attention to these key sources of information for UK nationals living in Germany. We are grateful for your help in sharing this information with any UK nationals in your organisations and networks. There are several steps which you can take to help prepare for the UK’s Exit from the EU. We recommend you take these practical steps as soon as possible. More information is available on the Living in Germany Guide, the UK government’s main source of information for UK nationals in Germany, which is regularly updated. You can sign up for email alerts. Registration: You must ensure that you are correctly registered with your local residents’ registration office (Einwohnermeldeamt) before the UK leaves the EU. Residency: In addition, in all EU Exit scenarios, UK nationals living in Germany will need to apply for a new residence permit from their local Foreigners’ Authority (Ausländerbehörde). Please read the Federal Interior Ministry’s FAQs (in German, English translation to be published soon). If the Withdrawal Agreement is ratified, this can be done until at least the end of 2020. In a no deal scenario, the German government is planning a transition period of initially three months, which they intend to extend by a further six, during which you can apply for a residence permit. This application should be done irrespective of whether you have in the past been issued with an ‘unbefristete Aufenthaltserlaubnis’ or another residence permit. Some Foreigners’ Authorities are already planning a voluntary registration/application procedure before the UK leaves the EU. Please see our guidance on Foreigners’ Authorities and complete your local process as soon as possible. Passports and Travel: The rules for passport and travel to most countries in Europe will change if the UK leaves the EU with no deal. You should have at least 6 months left on your passport from your date of arrival to any Schengen country, including Germany. This applies to adult and child passports. You can use this tool to check if your passport is valid before booking travel. In addition, in the case of a no deal scenario, if you need to leave and re-enter Germany before you have received your new residence permit, please plan more time at the border and take relevant documents, such as your registration certificate, social security confirmations, or work or rental contracts, with you. Healthcare: If you are working in Germany and paying German social security contributions, your healthcare via a German health insurance provider (Krankenkasse) will not be affected by the UK’s exit from the EU. If your healthcare is currently covered via a S1 form and the UK leaves the EU without a deal, your access to healthcare may change. In this case, you should take out German health insurance. According to German no-deal legislation, you will be able to join a statutory health insurance (gesetzliche Krankenversicherung) within three months of the UK leaving the EU, without being subject to the normal restrictions on age etc. You would be required to pay towards this insurance. For more information please read the Association of German Health Insurers’ Brexit FAQ. In addition, your European Healthcare Insurance Card (EHIC) might no longer be valid, if the UK leaves the EU without a deal. Visitors should therefore ensure they have comprehensive travel insurance before travelling. Students should make sure they have appropriate health insurance. Professional Qualifications: If you hold UK professional qualifications you may need to get them recognised in Germany before exit day. Find out where you can request recognition of your qualifications in Germany (in German) and read the European Commission’s guidance on recognition of professional qualifications during EU Exit. For further information, please consult Anerkennung in Deutschland’s Brexit FAQs. Civil servants: If you are employed as a civil servant (Beamte/r), you will need a permit to continue your employment after the UK has left the EU. Further information can be found here (in German). Please consult your employer. We appreciate that this is a period of uncertainty and many of you want more information and advice. We want to help you prepare for all scenarios and are committed to ensuring relevant information is available in a transparent and accessible way. 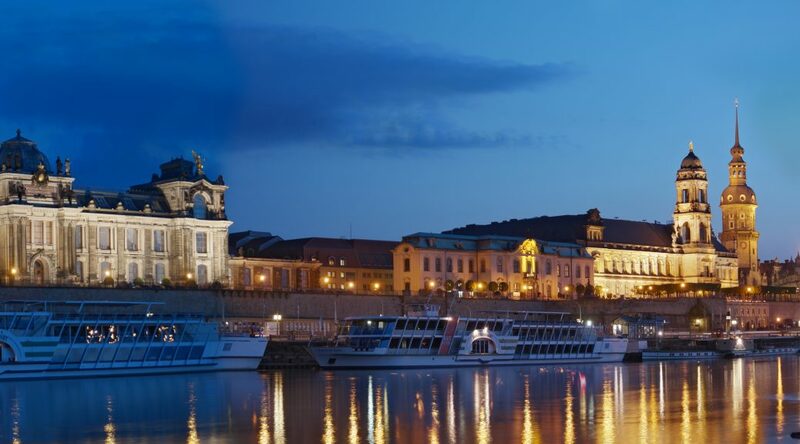 To stay up to date, please sign up for email alerts on our Living in Germany Guide and follow Brits in Germany on Facebook. Members of your organisation might also be interested in attending one of our information events across Germany. Please also share the attached leaflet with your British members. Update: Tickets for this event were all taken within a very short time and probably only shortly after we managed to advertise the event here. As the event is not arranged by BiG we are unable to obtain any more tickets and therefore suggest you add yourself to the waiting list. The Embassy will no doubt take notice of the massive demand. The British Embassy Berlin and the Berlin Senate Department for Culture and Europe invites British nationals living in Germany to an opening evening and information fair on issues relating to citizens’ rights in the context of the UK’s exit from the European Union. With info tables hosted by relevant authorities on pensions, health insurance, recognition of professional qualifications, driving licenses, residency and naturalisation, studying and Erasmus, and working in Germany after EU Exit. Please give the name of all participants when reserving tickets, as ID will be requested on the door. If you have reserved a ticket but find yourself unable to attend, please let us know so that we can give the ticket to someone else. For other events please see our Events Calendar. Safeguarding the rights of British nationals living and working in the EU remains a top priority for both the UK and the EU, and the British community in Germany are an important part of the future UK-Germany relationship. 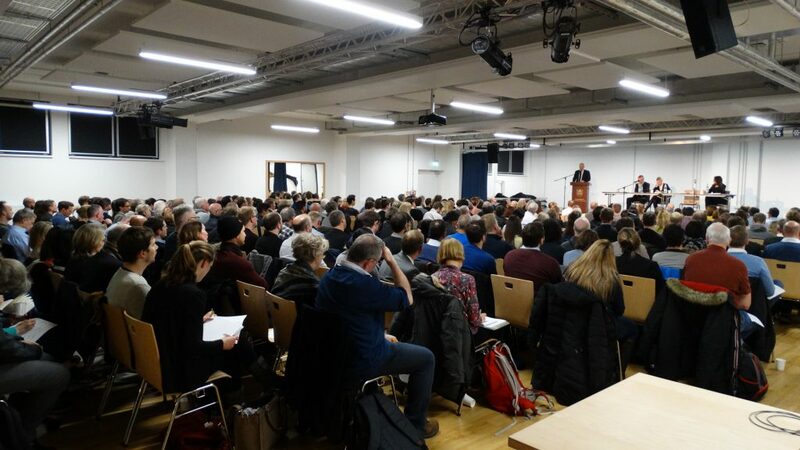 We are continuing our series of information evenings across Germany to ensure British citizens have the opportunity to share any concerns, and ask our speakers any questions they have about citizens’ rights post-Brexit. 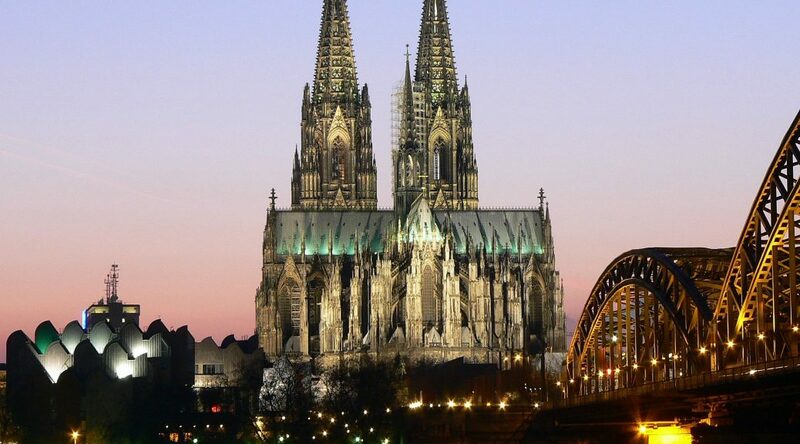 The event is primarily aimed at British citizens living in and around Cologne. Family members and friends are of course also welcome to attend. Limited spaces available. Doors open at 17:30. Please give your name when reserving your ticket as ID will be requested on the door. And Deutsche Welle also produced a report on the effect of Brexit on British Nationals in Hamburg. On the evening of 22 January 2019, the British Embassy, along with the British Honorary Consul for Hamburg, Nicholas Teller, hosted an information evening for British citizens in Hamburg. 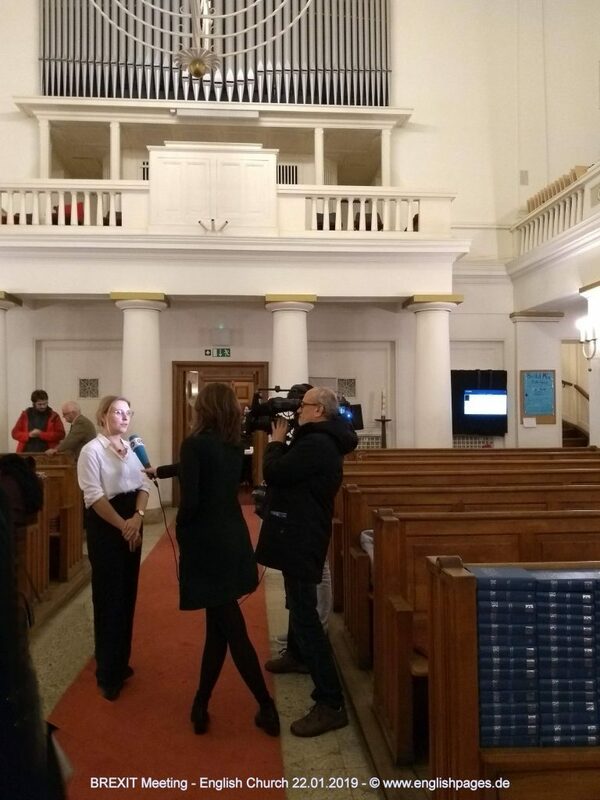 The event was held at the Anglican Church of St Thomas Becket, thanks to Revd Canon Dr Leslie Nathaniel and was very well attended with 220 people filling all available seats. On the panel were Nicholas Teller, Rachel King and Prisca Merz from the British Embassy in Berlin, Ellie Sellwood representative from British in Germany, Beate Wolk from the Einwohner Zentralamt Hamburg and Christiane Lex-Asuagbor, Head of the Rechtsabteilung. The event kicked off with a welcoming speech from Revd Canon Dr Leslie Nathaniel and Nicholas Teller. Then there were individual speeches on the topic of Brexit and what Brits can do to prepare from Rachel King, Ellie Sellwood and Christiane Lex-Asuagbor. Rachel King outlined the British government’s hopes for Brexit, and outlined the Withdrawal agreement, which would give British Citizens in Germany a transition period within which to get everything in order. During the transition period, from 29 March 2019 until 31 December 2020, British Citizens can be expected to be treated as EU nationals, with the same rights to live and work in Germany and move freely around Europe. Of course, she stressed that the government does not want or expect a no-deal situation. But in this case, Ms King assured all British Citizens present that there are plans in place to mitigate the effects of this, i.e. the 3-month transition period offered by German authorities which will allow British residents to apply for permanent residence or a passport and stay in the country whilst a decision is made. Christiane Lex-Asuagbor stressed that there wasn’t much that she could add given the complexity of the situation, but stated that after the UK’s departure from the EU, British Citizens will need a residence permit of some kind to be able to continue living and working here in Germany. She outlined the different types of residence permit and the requirements for each. The evening then concluded with a 90 minute Q&A session led by Nicholas Teller in which concerned British Citizens could direct their questions to the representatives from the British Embassy and Hamburg authorities. 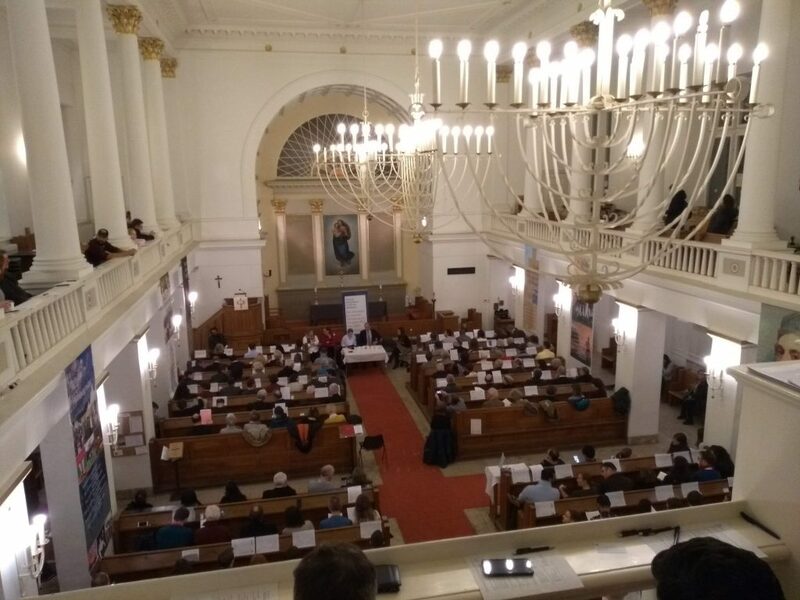 An information event organised by the British embassy and the Deutsch-Britische Gesellschaft was held in Dresden on the evening of 11 January 2019. It was attended by approximately 70 persons. The vast majority of those present had arrived in Germany within the last 5 years and were working. None had taken on German citizenship and only three people were applying for German citizenship. Deputy Head of Mission Robbie Bulloch gave an update on citizens’ rights in both a deal and no-deal situations. He stressed that the government does not want or expect a no-deal situation. Rob Compton then gave a short speech introducing British in Germany, its current activities and called for audience members to get involved with British in Germany in Dresden. 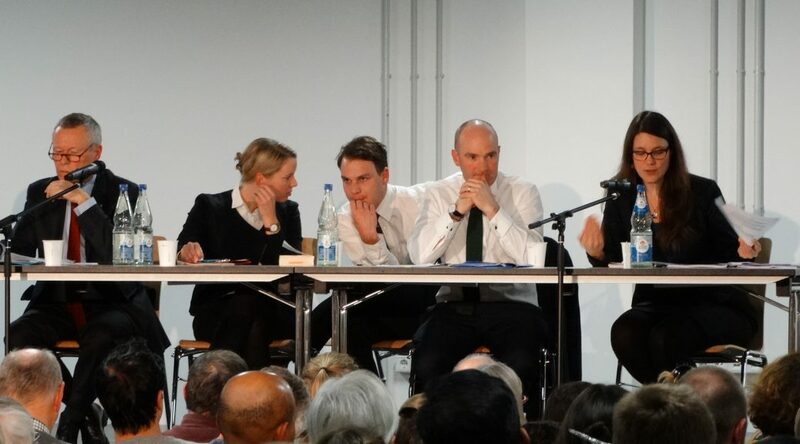 Daniel Senf of the Deutsch-Britische Gesellschaft Dresden chaired a 90-minute Q&A session in which the audience asked many questions concerning their rights after the UK exits the EU. Almost all questions were related to residence entitlements and third country national status and/or retaining British nationality when taking German citizenship in both deal / no-deal scenarios. Prisca Merz of the British embassy was able to provide lots of detail. Safeguarding the rights of British nationals living and working in the EU remains a top priority for both the UK and the EU, and the British community in Germany are an important part of the future UK-Germany relationship. We are continuing our series of information evenings across Germany to ensure British citizens have the opportunity to share any concerns, and ask our speakers any questions they have about citizens’ rights after the UK’s exit from the European Union. 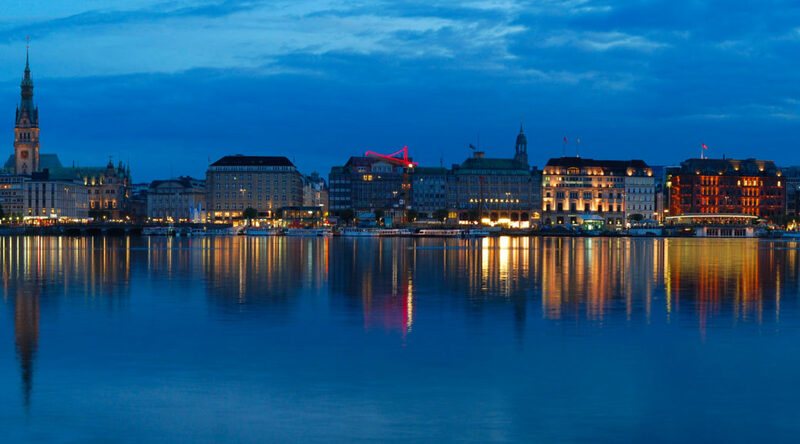 Nicholas Teller (British Honorary Consul in Hamburg) and Rachel King (Economic Counsellor and Head of EU & Economic Section at the British Embassy Berlin) are pleased to invite you to our next open evening for British citizens living in Hamburg. After the opening speeches you will have plenty of opportunity to ask any questions you might have. As attendance numbers are limited please only come if you are a British citizen in Hamburg and are directly affected by the topic of citizens’ rights after the UK’s exit from the EU. Attendance will be accepted on a first come first served basis. We reserve the right to limit numbers according to capacity. The British Consulate-General Munich in collaboration with British in Germany will host another Open Evening for UK Nationals in Munich. Place: The Auditorium at the St. Georges International school, Heidemannstr. 182, 80939 Munich. HM Consul General Simon Kendall will give an update on the status of negotiations on citizens’ rights and what this means for you. Joining him will be David Hole from British in Germany e.V. Then there will be plenty of time to ask any questions you have. 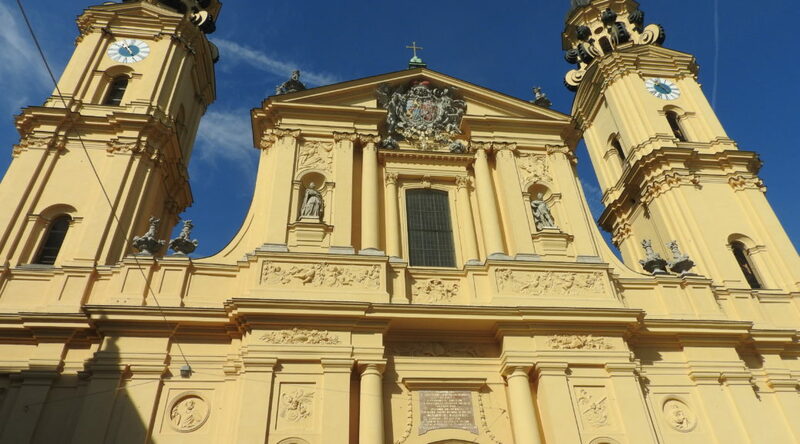 The event is primarily aimed at British citizens living in and around Munich. Family members and friends are, of course, also welcome to attend. Doors open at 5.30 pm. The event will run from 6pm to 8.30 pm.